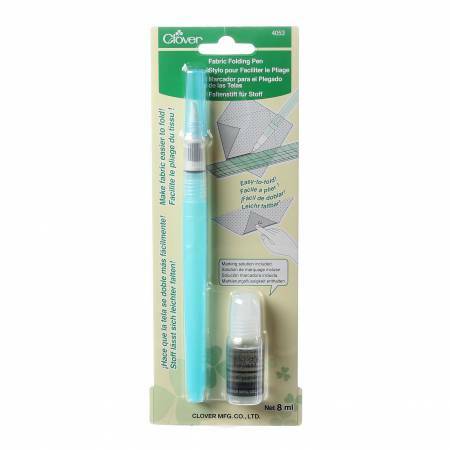 The pen comes with a fabric folding solution that makes fabric pliable and easy to fold. Great for patchwork quilting and sewing. Note: works best on natural fibers. Adele's tips: Try this with Clovers Hot Hemmer and Hot Ruler. They give you a measure, an edge to work on and could be ironed as well.